The Prince of Wales has spoken about the rise of artificial intelligence in a magazine interview marking his forthcoming 70th birthday. Charles said he “utterly” objected to the trend of people somehow becoming “part human, part machine” in the article featured in the new edition of GQ magazine. 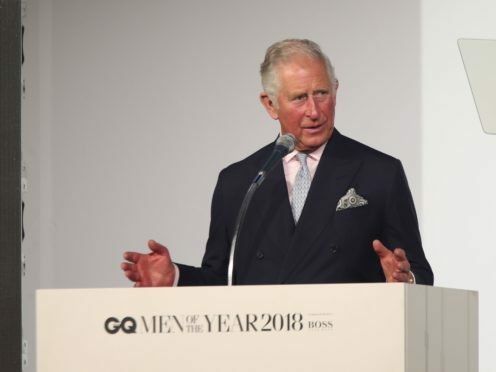 On Wednesday night at the annual GQ Men Of The Year Awards the heir to the throne was presented with the Editor’s Lifetime Achievement Award for services to philanthropy. The prince is the cover star of the publication’s October issue and told its editor Dylan Jones: “The thing I find hardest now is to cope with this extraordinary trend that somehow we must become part human, part machine, which I totally and utterly object to. Charles will celebrate his 70th birthday on November 14 – a milestone for the man who has championed causes once unfashionable, like the environment, and faced criticism for his views on topics like architecture. He went on to say in the interview: “You are accused of being controversial just because you are trying to draw attention to things that aren’t necessarily part of the conventional viewpoint. “That’s not always a bad thing, but it’s odd because I have always believed that living on a finite planet means we have to recognise that this puts certain constraints and limits on our human ambition in order to maintain the viability of the planet. With the Queen, aged 92, and the 96-year-old Duke of Edinburgh now effectively retired, Charles’ role supporting his mother will become increasingly important. Be highlighted there were still causes that needed championing. He said: “My problem is I find there are too many things that need doing or battling on behalf of, just the number of things that are under threat all the time as a result of some fashion or other.